--> India's Polar Remotely Operated Vehicle (PROVe) has been successfully operationalized for research in North Antarctica on March 25, 2015. --> PROVe has been indigenously built by National Institute of Ocean Technology (NIOT) under the Union Ministry of Earth Sciences. --> Union Minister for Earth Sciences Harsh Vardhan made the symbolic launch of the PROVe from the National Institute of Ocean Technology (NIOT) headquarters in Chennai. --> The Delhi high court on 25 March 2015 became the first court to set up dedicated commercial divisions within it, in line with recommendation of the Law Commission of India. --> Saying that the move will streamline civil judicial system and ensure speedy disposal of cases, the HC administration, in a press release said it has launched commercial courts to deal with disputes and also to hear appeals against them. --> Prime Minister Narendra Modi on 25 March 2015 launched his ambitious multi-purpose and multi-modal platform, PRAGATI, which is aimed at addressing the common man's grievances and monitoring important programmes and projects. --> Speaking on the occasion, Modi said the step is to ensure that governance in India becomes more efficient and responsive as the whole world is now observing India keenly. --> PRAGATI which stands for Pro-Active Governance And Timely Implementation, is a unique integrative and interactive platform. 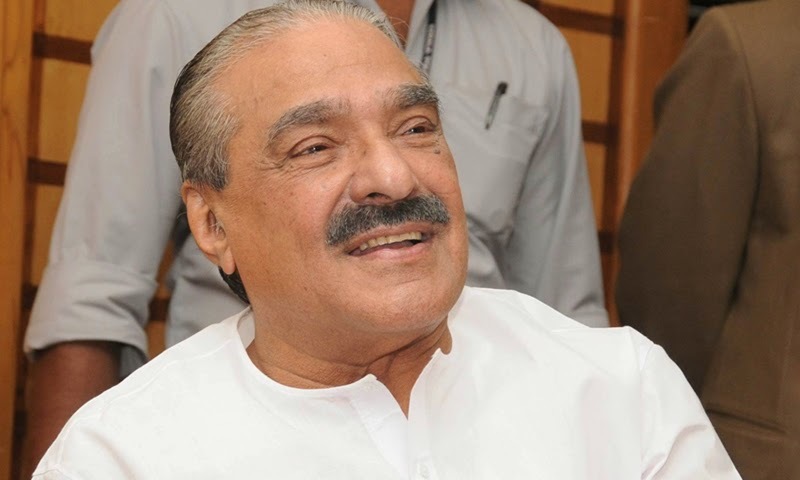 --> Kerala finance minister KM Mani has been appointed chairman of the empowered committee of state finance ministers on Goods & Services Tax (GST). --> The GST, a much-awaited reform to replace multiple indirect taxes with one levy, is proposed to be rolled out from April 2016. --> The empowered committee chairman's post fell vacant after Abdul Rahim Rather, the former finance minister of Jammu & Kashmir, quit following the defeat of the National Conference in state elections held in December. --> Novelist Akhil Sharma’s 2014 novel Family Life has won the Folio Prize 2015. --> The 43-year old novelist beat writers like Irish novelist Colm Toibin and Scottish writer Ali Smith Coilm to win the £40,000 prize. --> Family Life, Mr. Sharma’s second novel, took him 13 years to write and was selected by The New York Times as one of their Top Ten Books of the Year for 2014. --> The Folio Prize recognises the best English-language fiction from around the world, published in the U.K. during a given year, regardless of form, genre or the author’s country of origin. --> The ministry of railways has constituted a committee to review the existing Public Private Partnership (PPP) Cell in the railway board on 25 March 2015. --> The move is in line with the promise that railways minister Suresh Prabhu made during the presentation of the rail budget on 26 February. --> The committee will be headed by Ajay Shankar, former secretary, department of industrial policy and promotion. --> Noted Hindi poet Gopaldas Neeraj on 24 March 2015 was awarded with first National Kavi Pradeep Samman. --> He was presented the award by Madhya Pradesh Culture Minister Surendra Patwa at a function held in Bhopal, Madhya Pradesh. --> National Kavi Pradeep Samman was instituted by the Government of Madhya Pradesh in the memory of late renowned poet and songwriter Kavi Pradeep. --> The Cabinet Committee on Economic Affairs on 25 March 2015 approved the launch of the visionary Rs. 4,500-crore National Supercomputing Mission (NSM) aimed to steer India into the league of world class computing power nations. --> RBI today signed a USD 400 million currency swap agreement with the Central Bank of Sri Lanka for three years that will allow the island nation to draw the amount in dollars or euros in multiple tranches. --> The swap arrangement is intended to provide a backstop line of funding for the SAARC member countries to meet any balance of payments and liquidity crises till long-term arrangements are made. --> Bangladesh has won the prestigious Women in Parliaments (WIP) Award for regional leadership in the South and Southeast Asia category for closing the gender gap in politics. --> The award was presented by WIP Global Forum at annual summit held in Addis Ababa, Ethiopia.